Using the power of Shared VR to present and develop complex designs collaboratively. 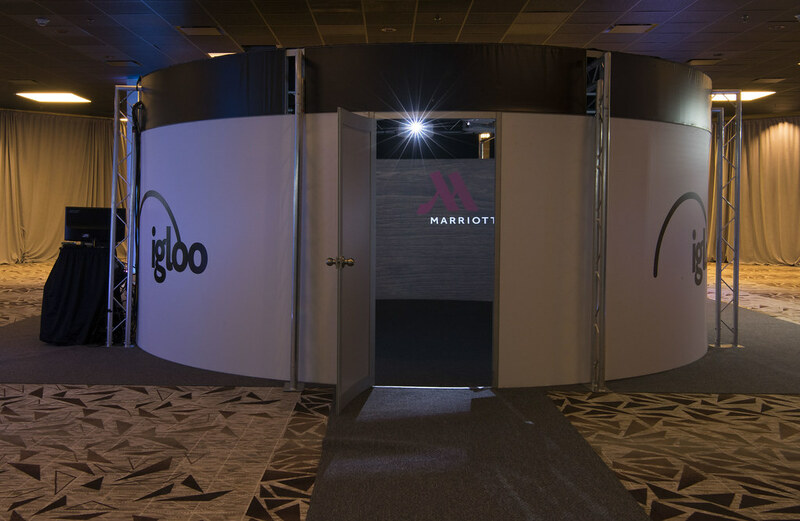 In developing new hotel concepts, the Marriott Global Design team had been experimenting with VR headsets, but started looking for a more collaborative solution – and found Igloo. One of our 6-metre cylinders is now enabling Marriott to use the power of Shared VR in its design prototyping and development. It is usually located at the Bethesda HQ, but also goes on tour around the USA to deliver internal and external stakeholder engagement.